To find out more about any of Louise's teaching then get in touch by email, facebook, text message or even a good old fashioned phonecall. 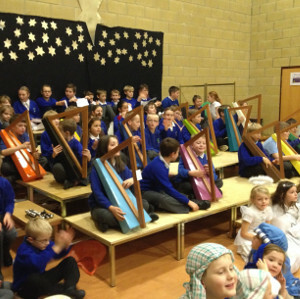 Teaching in schools is another of Louise's harping activities, for group sizes up to 15 children. With a fleet of fifteen cardboard harps she can provide all the materials needed for a very different musical experience. Louise also teaches general musicianship and singing to whole classes. 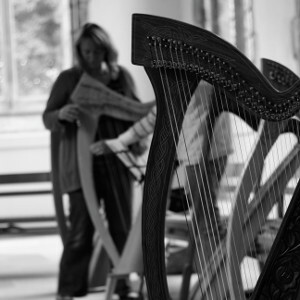 Either in regular weekly sessions or at occasional workshops, it's never too late to start learning the harp. 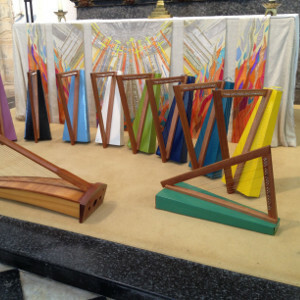 Harps are also available to hire.